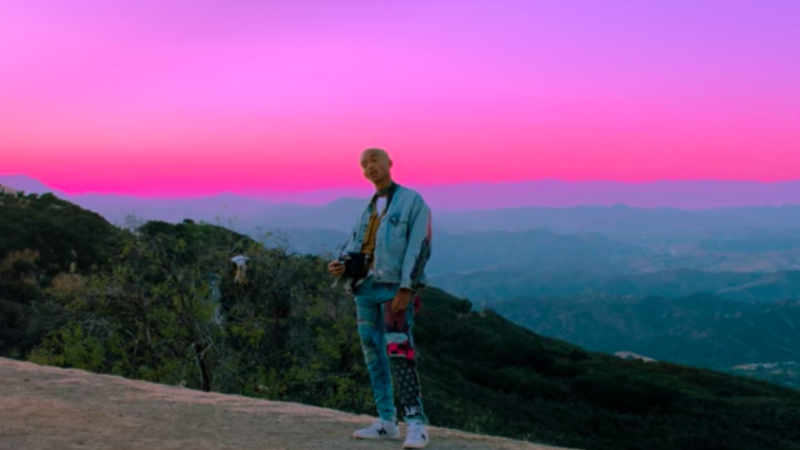 Jaden Smith, who is set to perform at this weekend's Rolling Loud SoCal Edition, has released a new visual for the track, "George Jeff," which appears on his new album, SYRE. Here we find the multifaceted artist running through the song from atop a familiar mountain landscape with a gorgeous vibrant sky behind him, much like we previously saw in his videos for "Icon," and for "Fallen." Smith also sports a similar outfit in the visuals, another choice that has fans wondering about the reasoning behind the consciously creative extension and reoccurring themes. He also recently announced on social media that next year, he'll be dropping a follow-up record, ERYS, which is SYRE spelled backward. After all, for Jaden Smith, the pastel-colored sky's definitely not the limit and he's got some stories to tell. Run The Jewels, "Call Ticketron"
For Run the Jewels' latest, the dynamic duo creates an epic movie accompanying their action-packed track "Call Ticketron." During the new apocalyptic Blade Runner-inspired visual, the city is being attacked by a giant extraterrestrial spider monster while Killer Mike and El-P rap through the madness like the bosses that they are. Fresh off the release of his new double album, BooPac, Boosie BadAzz gives his track "Savages" the visual treatment, rapping while exploring a series of graffiti-laden abandoned spaces by the beach.